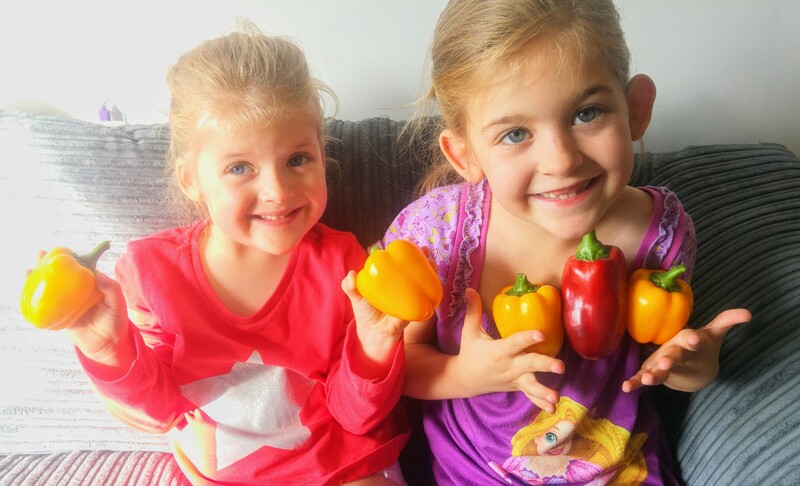 This week’s #MySundayPhoto – Home-grown Happiness photo’s were taking straight after the girls picked the peppers they have been growing over the last few months. The girls look so happy and proud that they have planted & grown the peppers to perfection. They helped us make a delicious salad dinner with their freshly picked peppers which we all thoroughly enjoyed. The girl’s faces in these pictures show how amazed and happy with what they have produced. 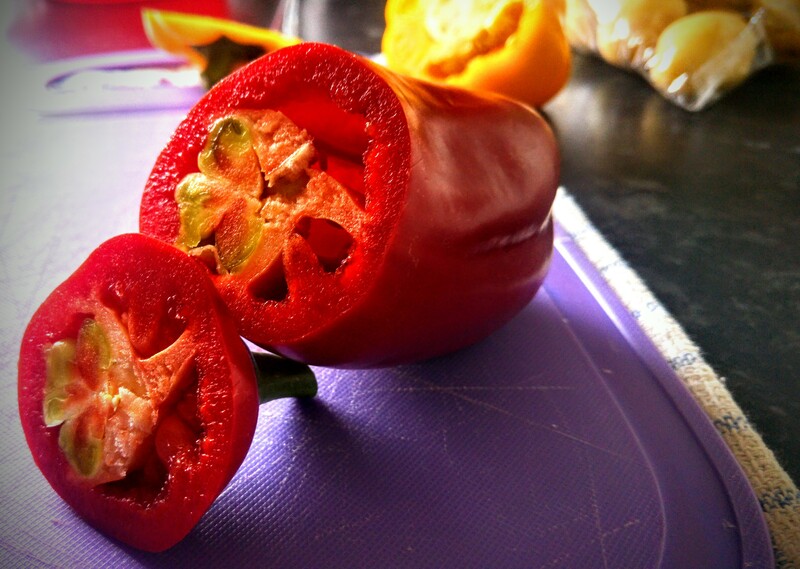 From a tiny seed and a bit of soil on a tiny windowsill they produced these delicious peppers. The peppers grew to a great size, especially Eva’s. There was even more excitement when we discovered Eva’s big red pepper had another pepper trying too grow inside! It looked so pretty with the red and green together. Do you grow your own fruit or vegetables? Do you get that home-grown happiness when you harvest too? The girls have been growing peppers on the windowsill over the last few months. It was much easier to grow our own food when we had a garden but we still try to see what we can achieve on our windowsills. Peppers are something Eva & Izzy thought we should try, so we gave them a go. You may have seen some of my Instagram posts from when they first began to grow. The one below is Eva’s huge red pepper! The girls peppers are growing nicely on their windowsill! Over the last 2 months the peppers have slowly changed colour from green to red on Eva’s plant and from green to yellow on Izzy’s. A complete accident but a great way to tell them apart! We all enjoyed keeping an eye on the peppers changing and couldn’t wait to see how they turned out and tasted. Both girls were really excited when the Mr told them their peppers were finally ready to chop. They headed out excitedly to buy the other bits they wanted to create a delicious salad for everyone to have Sunday night. With a bit of help from the Mr they both cut their own peppers off! We explained to the girls they needed to wash their peppers before they could eat them. They were more than happy to get their hands wet and give them a good wash.
Once the peppers were washed and dried it was time to cut them up for our salad. We were surprised to find another pepper had tried growing inside Eva’s red one! The peppers were absolutely lovely & we all enjoyed them. I could quite happily eat it all over again! Have you grown & eaten your own fruit & veg?